I’d say I am quite jealous. Not of the father, but of the kid. Ever since I can remember, I wanted to be an artist but all I could draw was creepy dolls and weird flowers. Not this kid though, he has quite the imagination and I am sure he will grow up to be an even better artist than his father. But for now, his father, Thomas Romain, loves to bring his kid’s doodles to life with his own amazing skills. And I have to admit, these two make an amazing duo. Thomas has even published a book with all of his and his son’s work. You might know his work from the Code Lyoko Series. 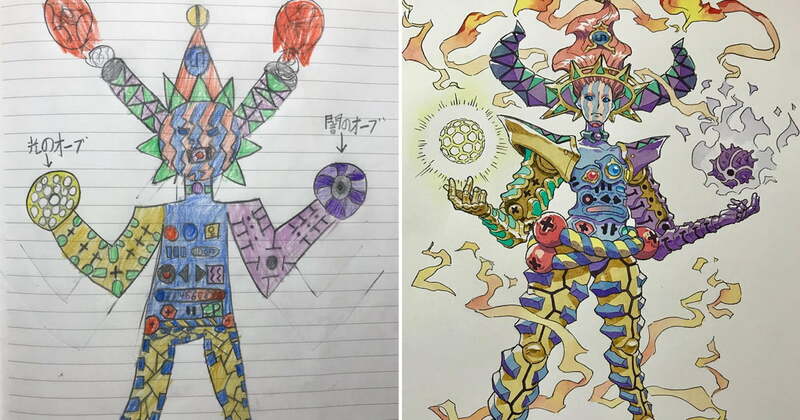 So scroll on below and take a look at how he re-imagined his own kid’s drawings. My name is Thomas, I’m an animation creator, designer, and illustrator. People know me for being the co-creator of shows such as Code Lyoko or Oban Star-racers. I am also a dad. I have two sons and I love their drawings. On my free time, I’m creating cool illustrations with them! #1 Armors of the West and the East. #8 Double King of the Underworld and Upperworld. What are your thoughts on these creative illustrations? 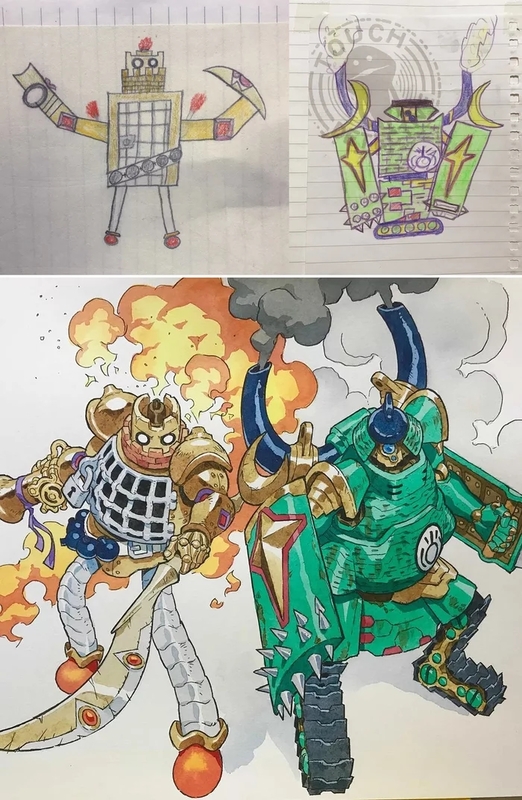 Do you think the father did the kid’s drawings justice? Comment down below and let us know. Don’t forget to share!